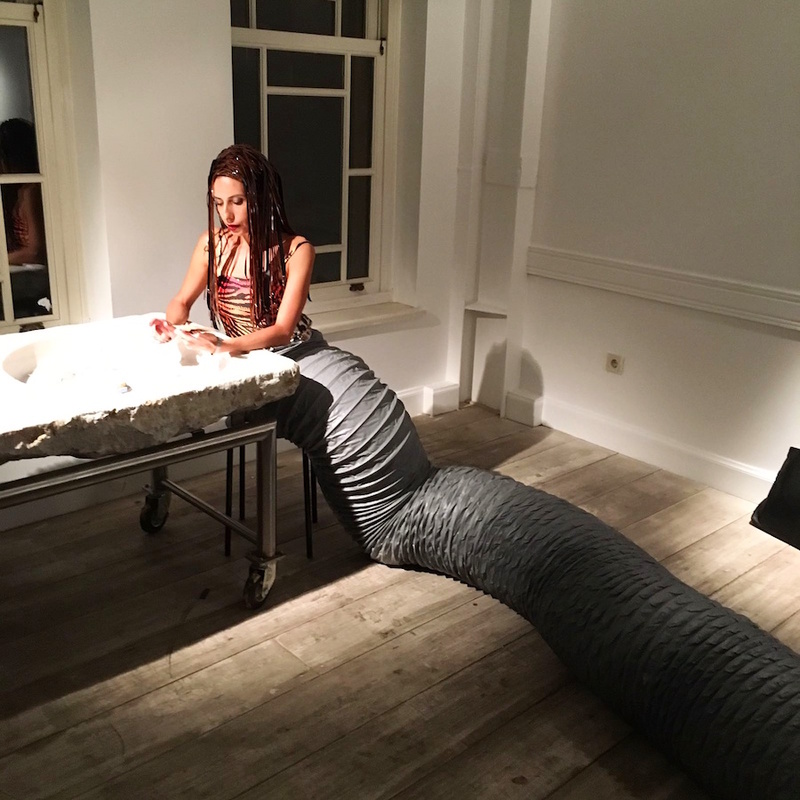 Appearing all of a sudden in the midst of the city’s open guts and settling in the gallery’s staircase, Tapeworm is a goddess with a woman’s bust and a giant tapeworm from the waist down. Flipping her long hair made of magnetic tapes, she goes around talking incessantly and working like a myth-generating machine. Tapeworm, the underground oracle within us, is a mobile haruspex telling fortune from the city’s bowel. 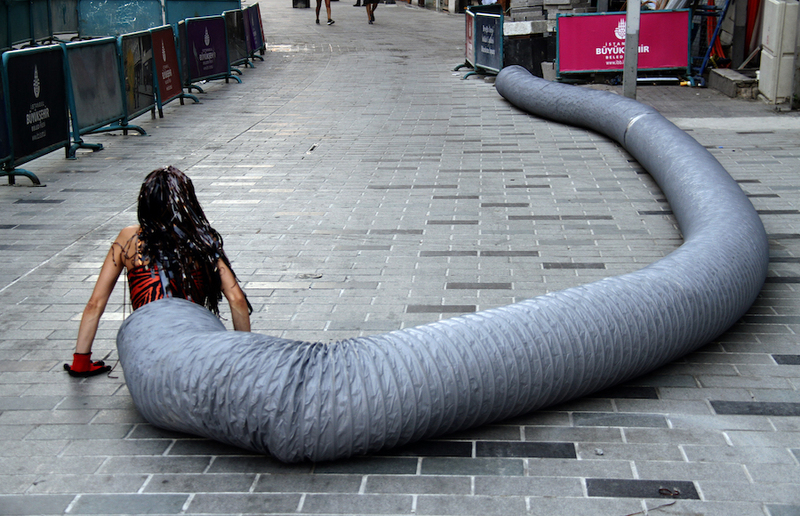 Tales Of The Tapeworm / Installation view – Costume made of dress and ventilation hose with bellows (35 x 2000 cm), wig made of magnetic tapes (approx. 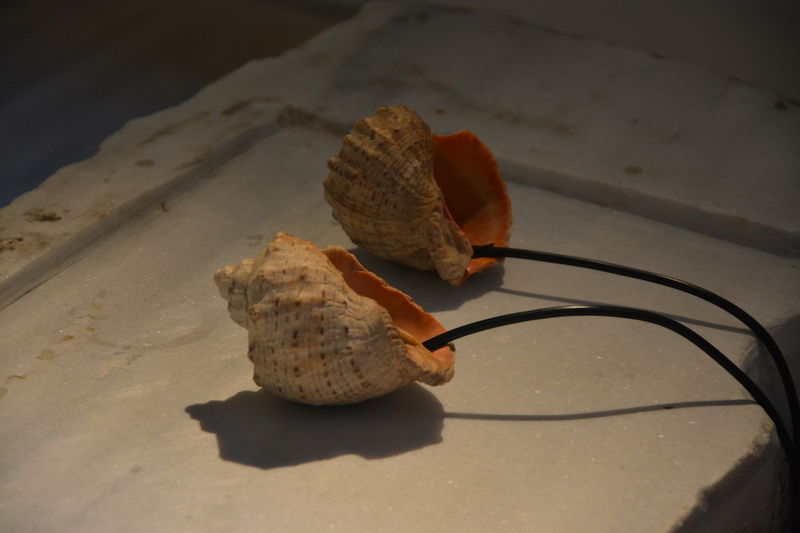 20 x 60 cm), a photograph (20×30 cm) and a video still (15×27) on the wall.